Jendamark’s virtual reality room allows designers and customers to explore the possibilities of a new production line in three-dimensional reality via an interactive, computergenerated experience. 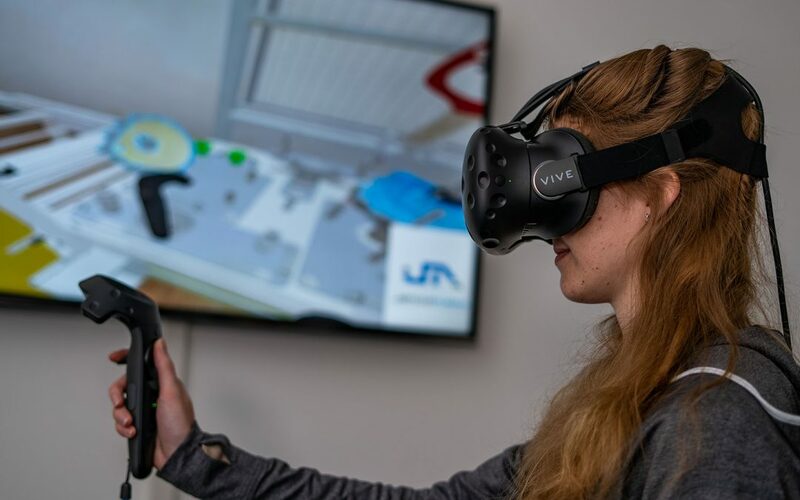 The introduction of virtual reality (VR) has had tangible, real world benefits for Jendamark customers by enhancing the design review process. First, the design team makes the complete production line in VR and a member dons the glasses for a walkthrough of the line. This simple step often highlights potential flaws that would not be apparent during a normal design review. “It’s about seeing the design with fresh eyes,” says Yanesh Naidoo. Naidoo says VR is ideal for ironing out any kinks before the design is handed over to manufacturing and for clients to get a better understanding of its workings before sign-off. The Internet of Things (IoT) describes a network of machines, devices and other items that have built-in connectivity, electronics, software or sensors that allow them to share data and improve efficiency for humans interacting with them. While the idea of a “smart home” or “smart business” may seem far in the future, current estimates suggest that there could be around 30 billion connected devices worldwide by 2020. For Jendamark, the first application of IoT principles will soon be demonstrated with the addition of a documentation app* to its Odin software platform. According to Yanesh Naidoo, it is standard practice for the company to deliver all the printed manuals and necessary documentation for a new machine or line as part of the handover process to a customer. Unfortunately, those documents are often misplaced over the years and remain unread until something goes wrong, he says. Taking this one step further, the IoT could be used to collect data such as the part numbers on a customer’s machine as well as the replacement parts available in his or her storeroom. This information would be available at a glance via the app, thus reducing machine downtime while fixing the problem. * Currently in development. Available soon for Android devices from the Google Play store. Augmented reality (AR), as the name suggests, uses technology to augment or add to a user’s experience by superimposing computer-generated images, text and sounds over a real-world environment. 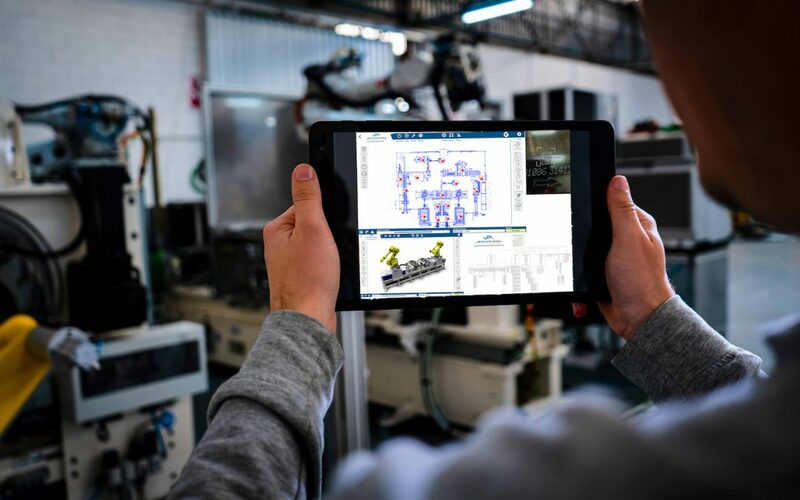 AR creates an immersive and interactive experience for the user, which makes it particularly suitable for assisting operators and maintenance teams on production lines. 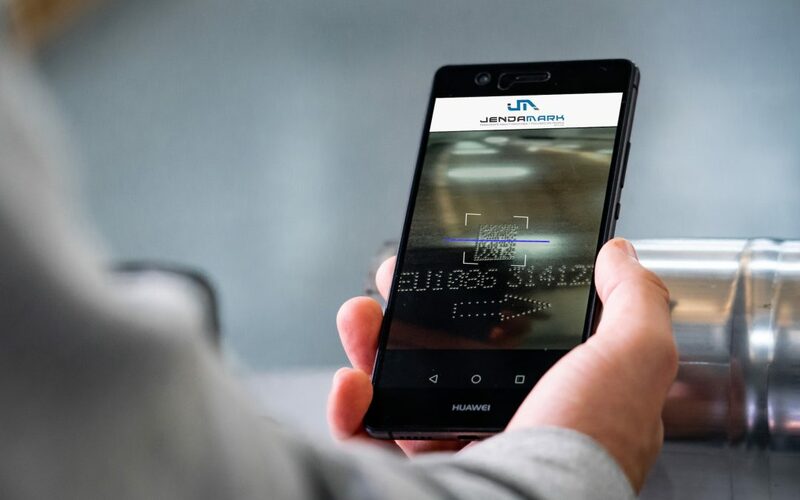 Jendamark currently uses AR hardware in the form of Vuzix smart glasses as a bolt-on to its WorkStation app to improve operator efficiency. 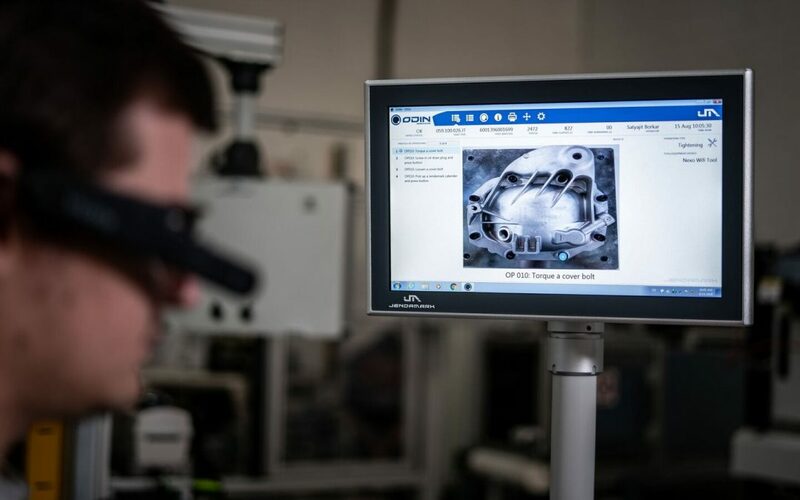 Instead of consulting a screen or trying to remember each assembly process required, the operator sees the step-by-step process as a visual overlay on the real life workstation through the lens of the glasses. AR also has a role in quality control by highlighting those parts that need to be visually inspected by the operator once assembled. Once everything is in order, the operator can capture the image, which may be logged as an element in the product traceability chain. Aside from operator guidance, the glasses also help maintenance workers to access remote support more effectively. Once logged on to the software, the support provider – who may even be on the other side of the world – can see exactly what the maintenance worker sees. This enables him to guide the on-site worker verbally through the repair process via Skype and by “drawing” helpful sketches, arrows and circles, which are superimposed on the maintenance person’s view of the problem area. Jendamark’s aim is to develop the AR software that supports all of these functions and plugs seamlessly into its Odin software platform. Adding a predictive maintenance element to an already efficient automotive assembly line can add unnecessary costs. Jendamark has found a better way to predict machine downtime, which will soon be added as the fourth module to its Odin software platform. “Typically, a well-maintained machine runs at the industry standard of 95% uptime,” says Yanesh Naidoo. Naidoo says when it comes to predicting what could go wrong with a machine, the smart solution would be to mine the rich quality data that Jendamark has already been gathering for the past 20 years. “We’re confident that there is a relationship between the machine downtime and the quality data. When a machine does go down, it can generally be narrowed down to a handful of possible causes. More commonly known as 3D printing, additive manufacturing is gaining momentum in the quest for lightweight parts and minimum material waste. Instead of machining away metal to fashion a part, additive manufacturing builds it up from scratch, using only the material needed. “The other big advantage is the idea of topology optimisation – redesigning a part to make it lighter in weight,” says Yanesh Naidoo. This, Naidoo says, allows for complex lattice-like design, not unlike the bone structure of birds, which is strong but could reduce weight by up to 70%. While metal 3D industrial printers remain prohibitively expensive, Jendamark is exploring using industrial robots with MIG weld guns to build up parts. “The structural integrity still needs to be tested but if it proves successful, a designer could print raw materials overnight and put them into the machine shop the next day,” says Naidoo, adding that it could shortcut the material purchasing process by weeks. 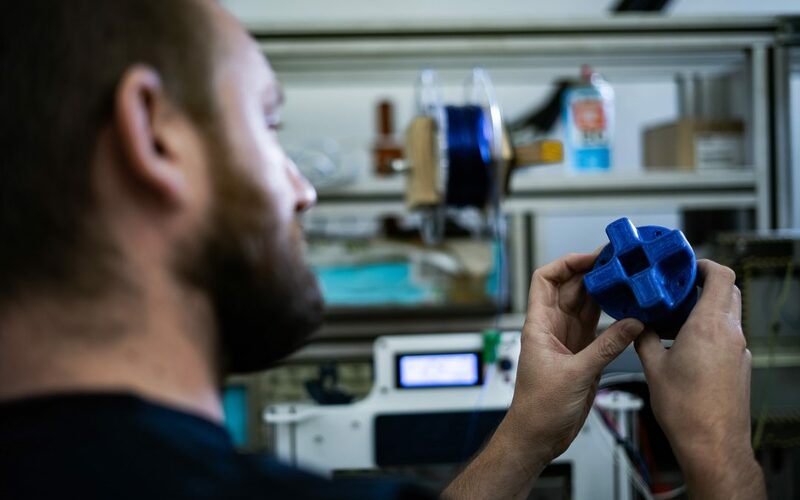 Jendamark’s 3D printer is used to print plastic components, which are especially useful in the development phase, giving designers a feel for the real thing. The initial testing of lines is also done using these.